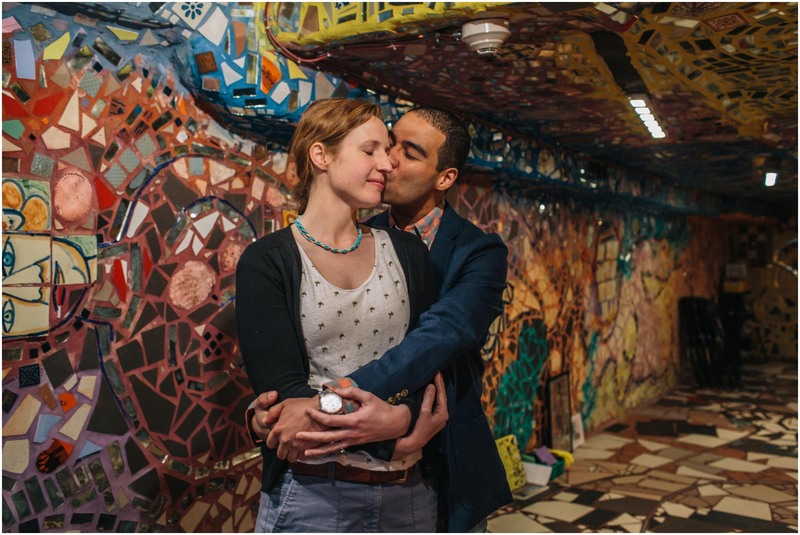 I had never photographed a proposal before today, so the fact that Dan trusted me to capture the experience was incredibly special to me. 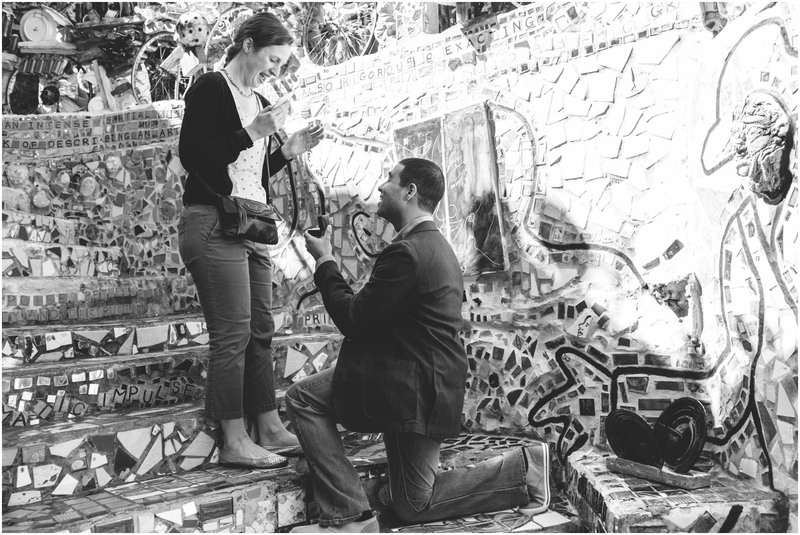 Decades of absorbing rom-coms and studying the “she said yes!” moment still didn’t prepare me for how moving it would be. 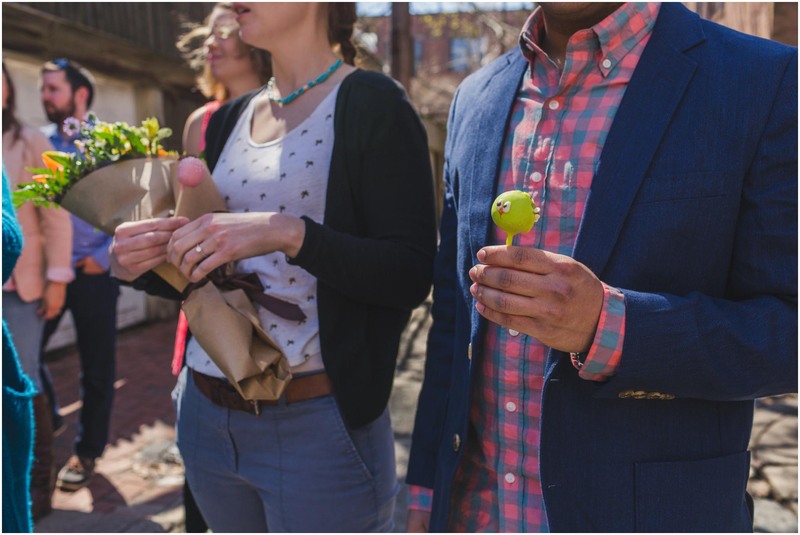 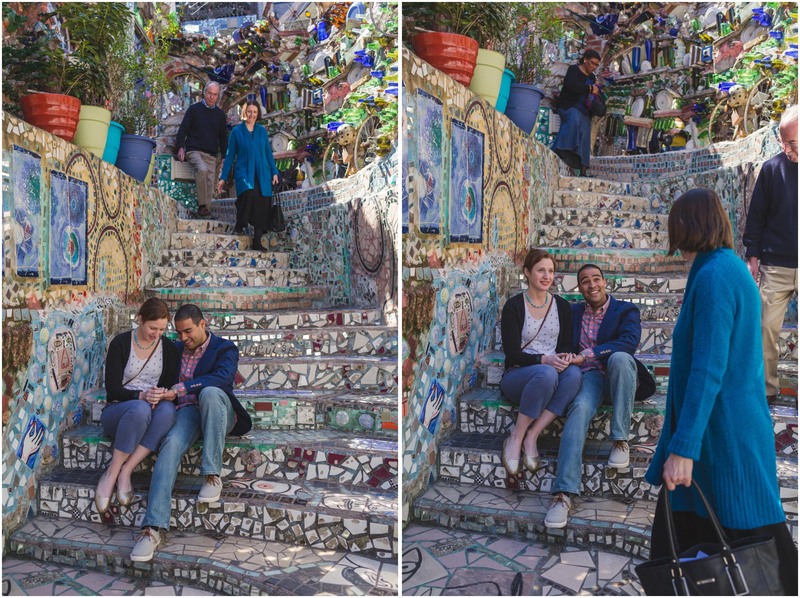 MJ thought she was enjoying a typical Sunday out with her friends — Natalie and Jimmy. 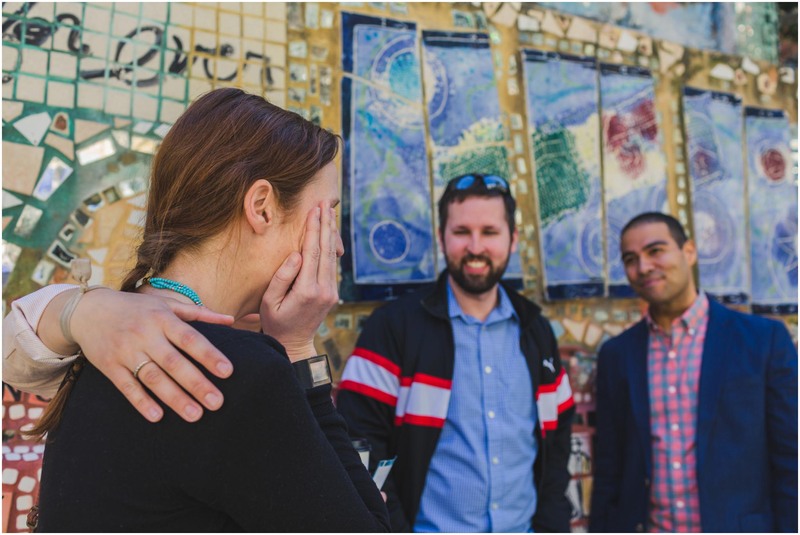 Dan told her he got stuck having to work, so he wasn’t able to join them. 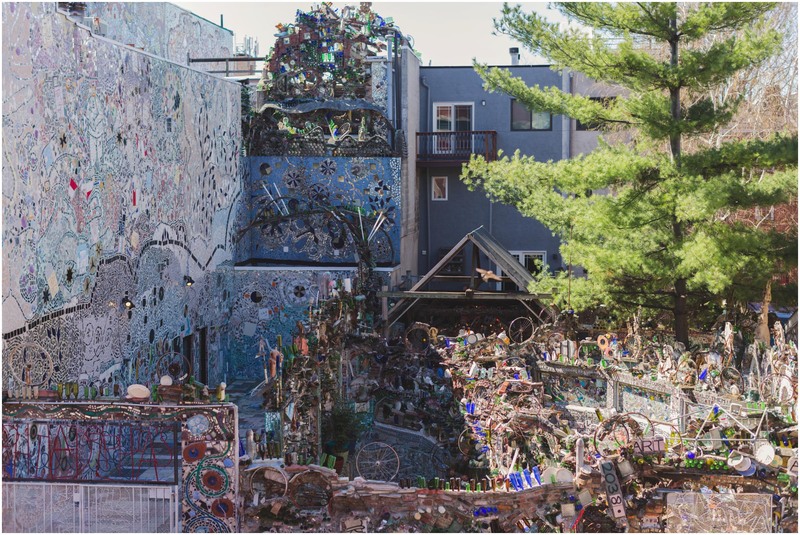 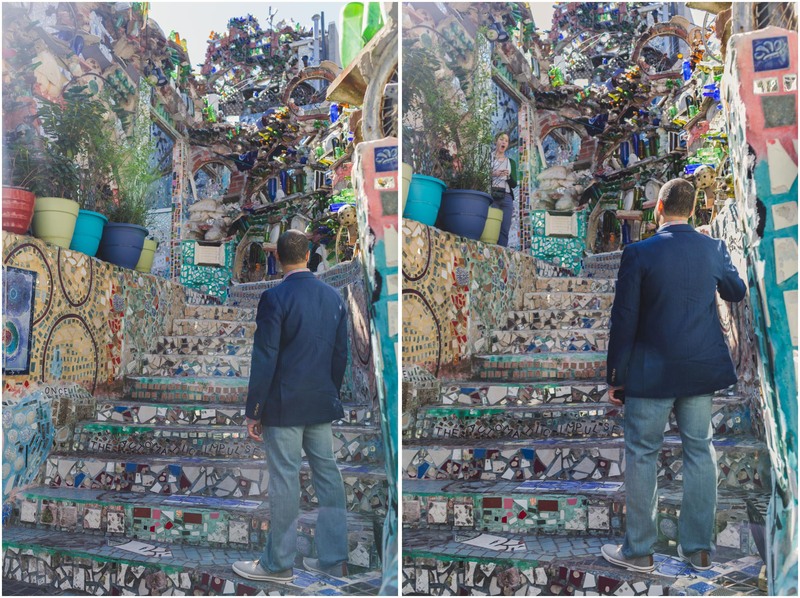 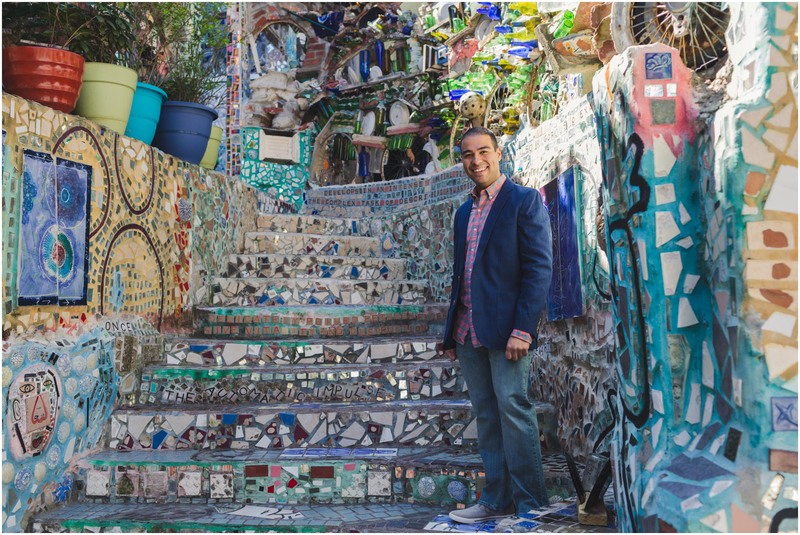 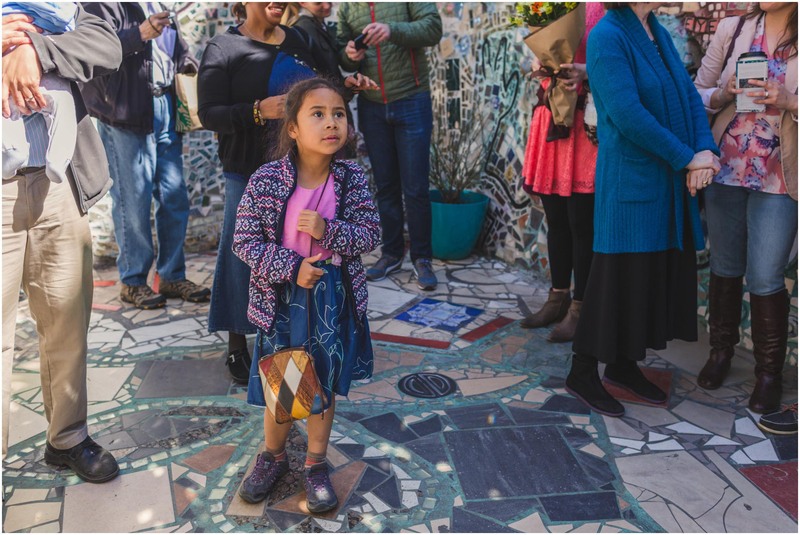 When MJ turned the corner to walk down the stairs at Philadelphia’s Magic Gardens, Dan was patiently waiting. 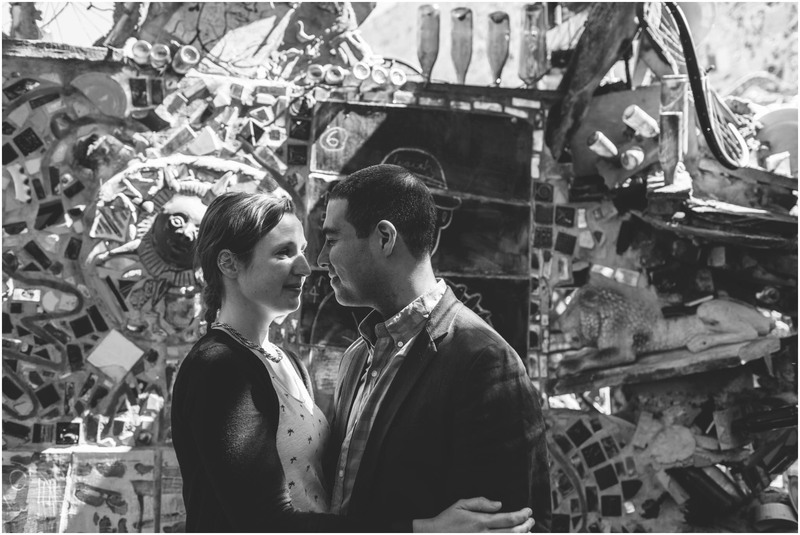 Natalie and Jimmy were Dan’s partners-in-crime and made everything go so smoothly, sending texts as the plans fell into place. 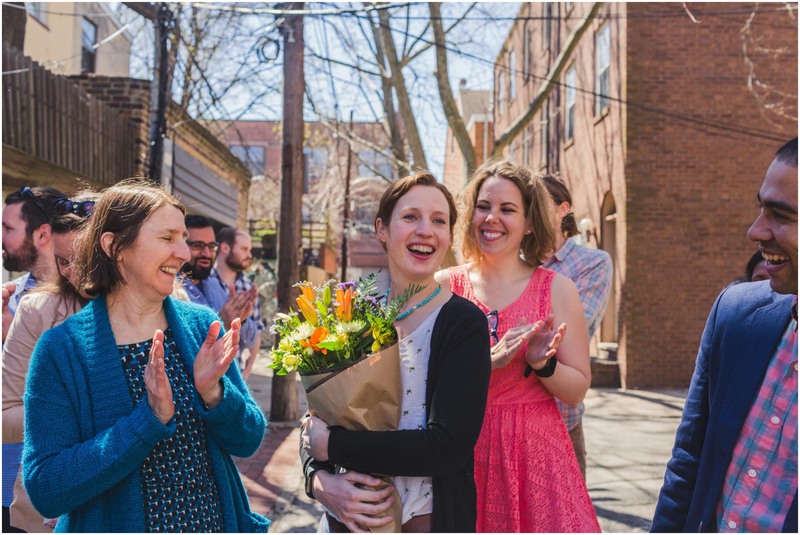 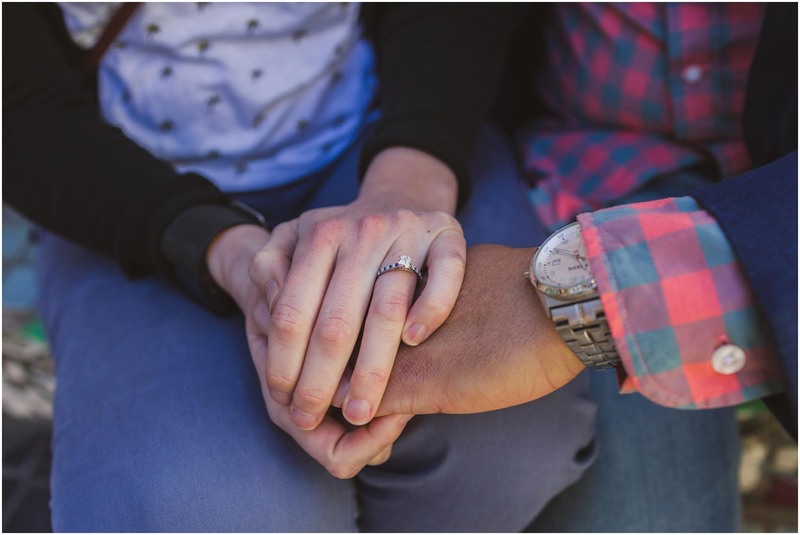 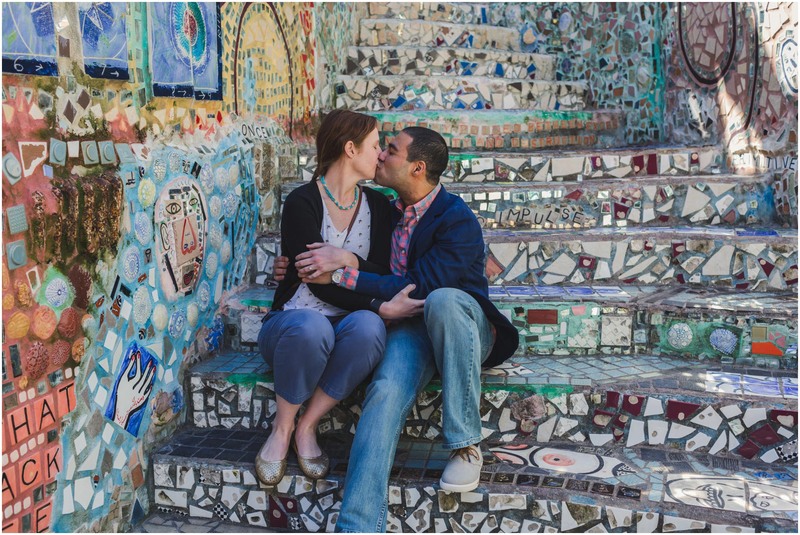 Dan and MJ helped plan Natalie and Jimmy’s proposal, so it was sweet to see the two couples so involved with each other’s engagements. 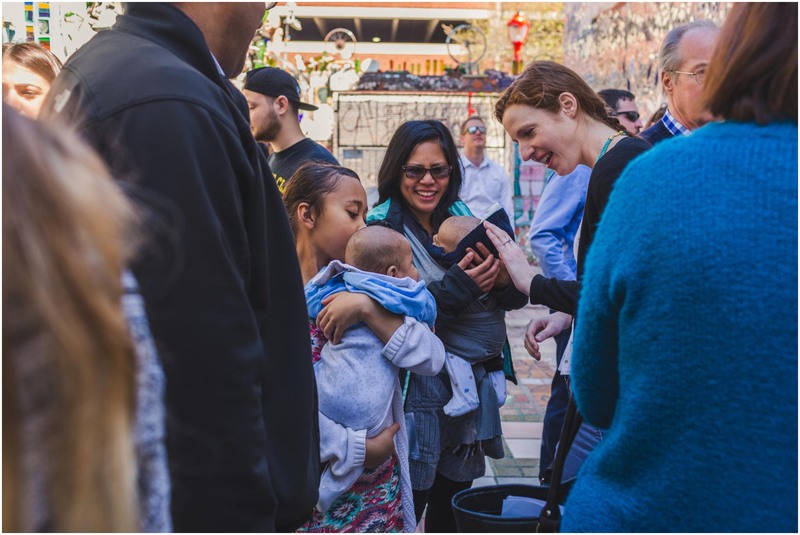 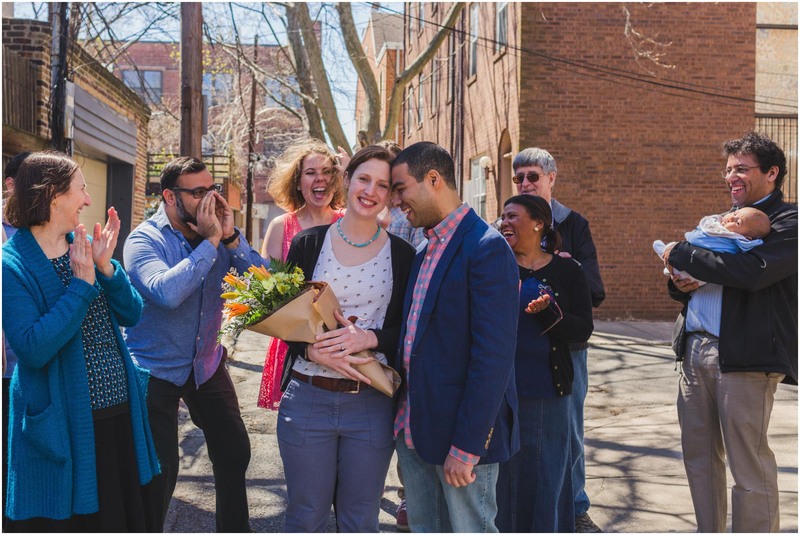 After MJ said “yes!” about thirty of her closest friends and family came streaming down the stairs to surprise her. 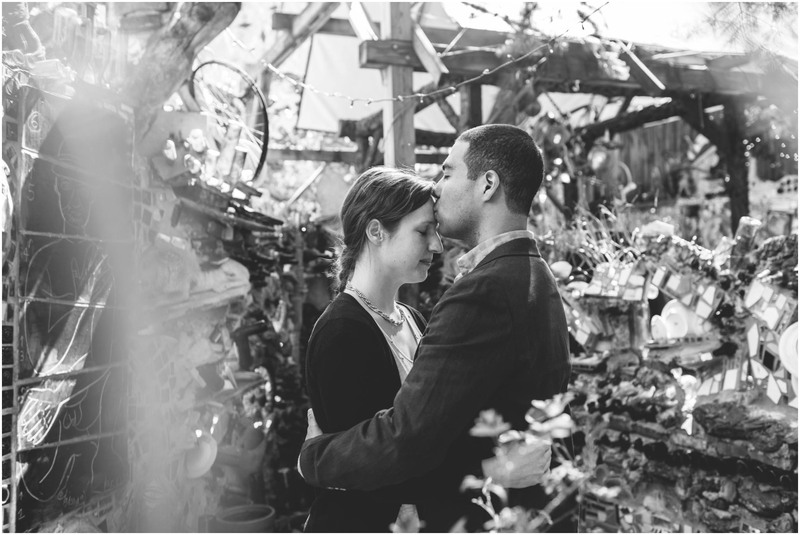 Her parents were literally in front of her without her realizing it, so to see it all unfold was lovely. 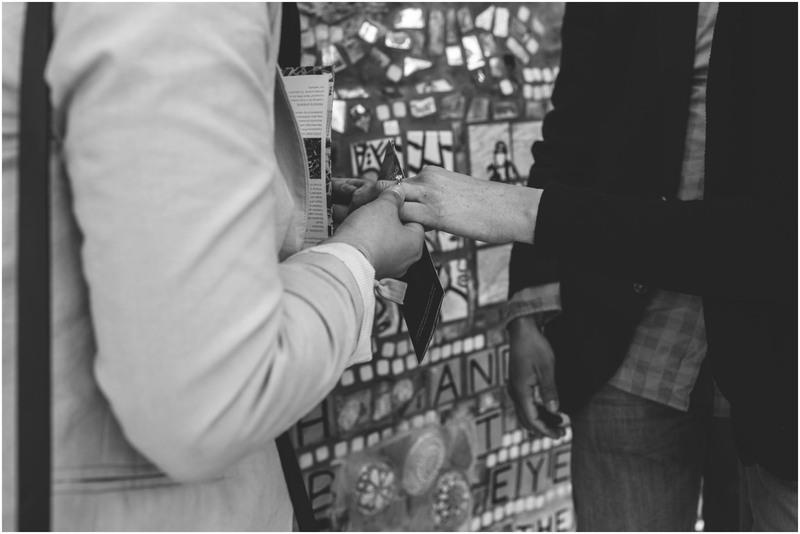 It was such an explosion of emotions, I had a hard time not crying and steadying my shaking hands. 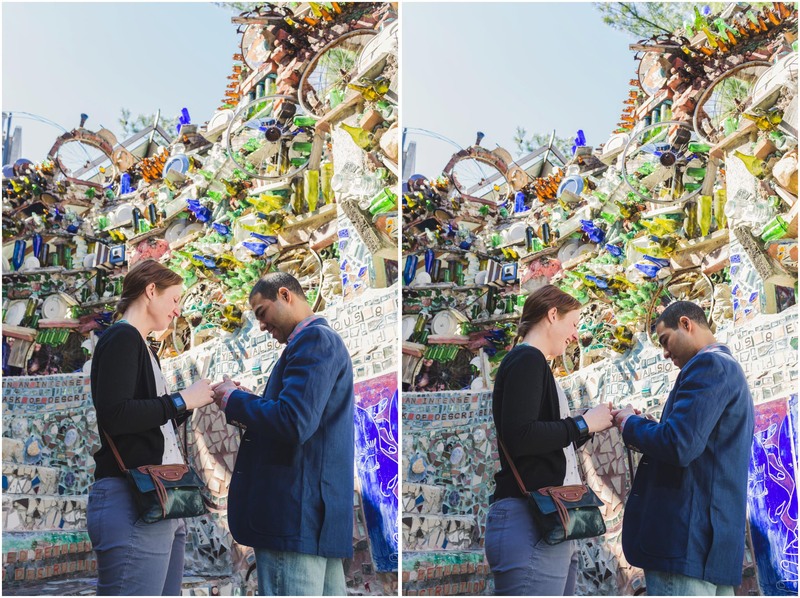 I’m so grateful to have had the opportunity to capture the proposal. 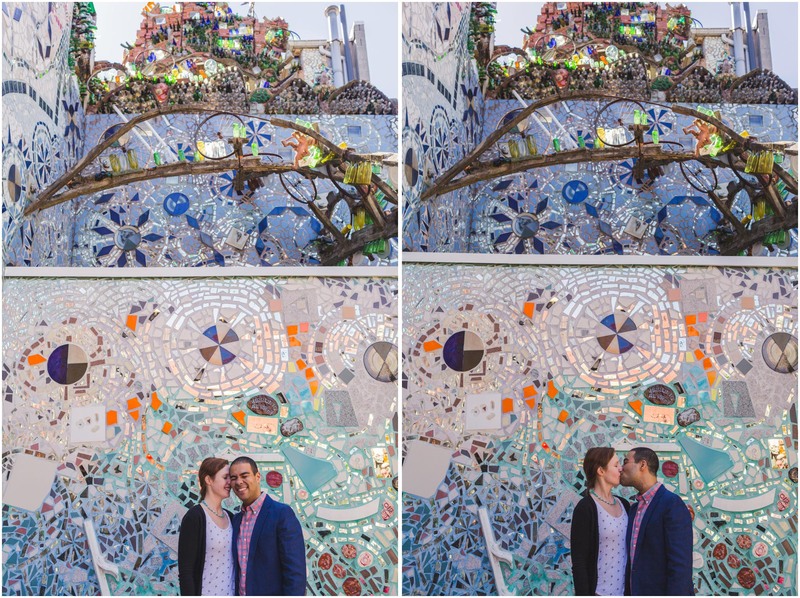 I know it went by in a blur, so I hope these photos can help relive the epic proposal Dan planned for MJ. 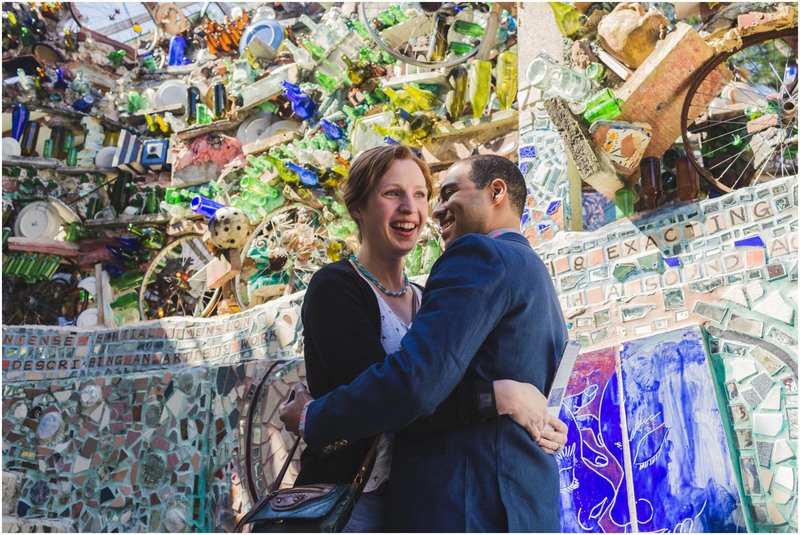 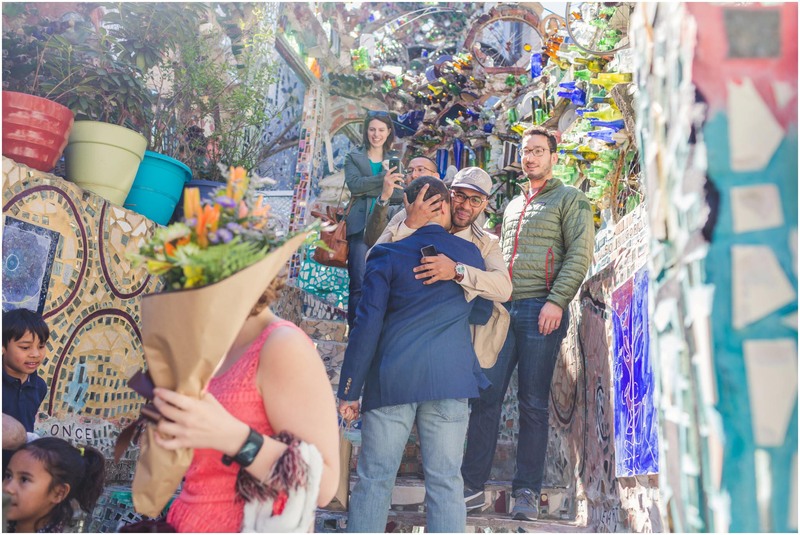 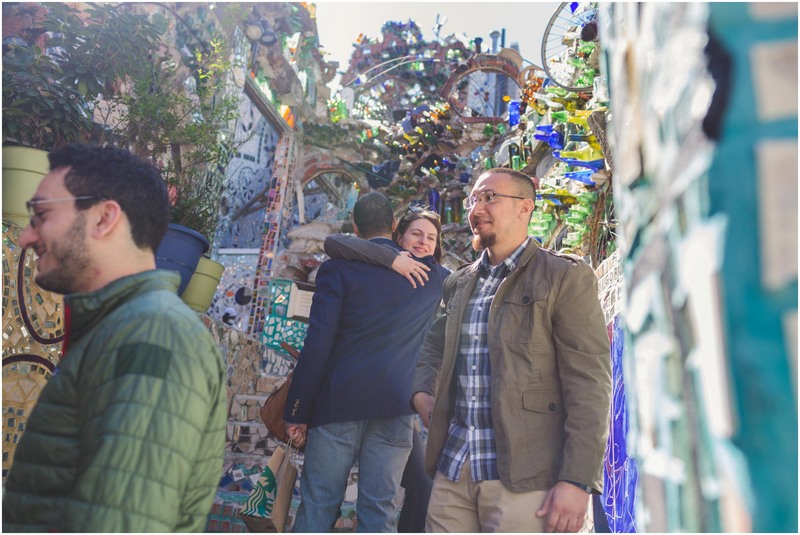 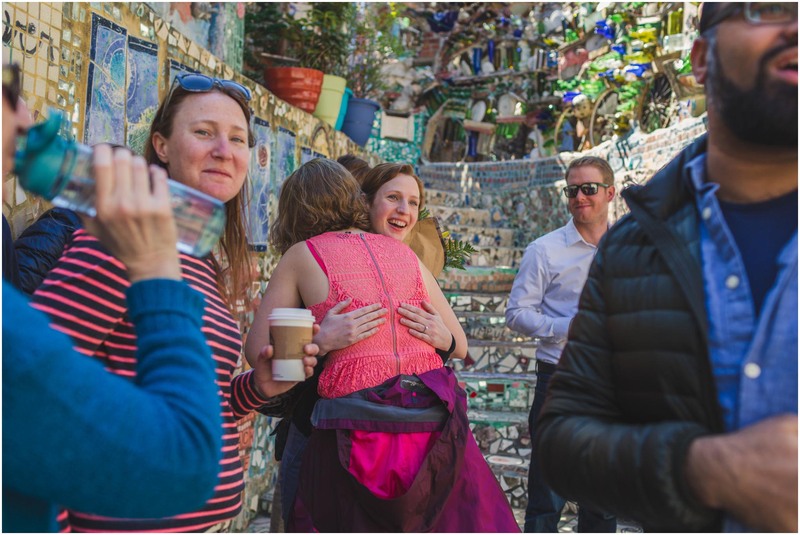 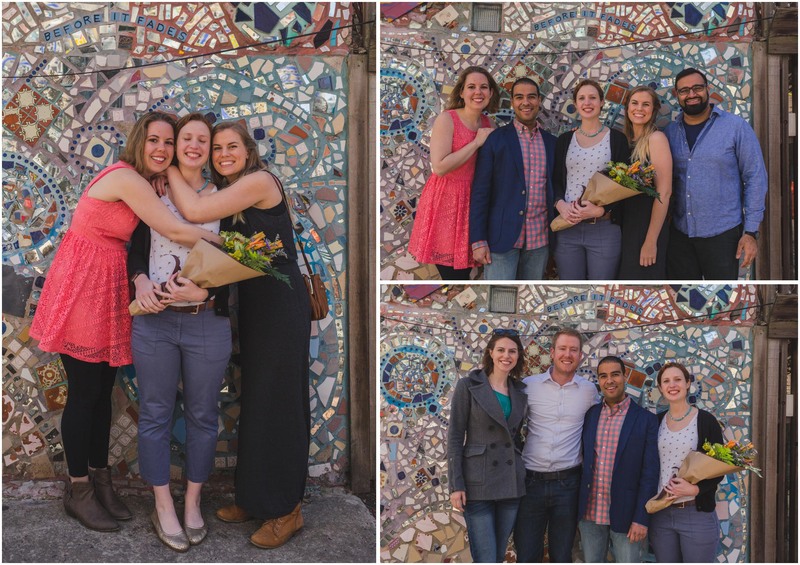 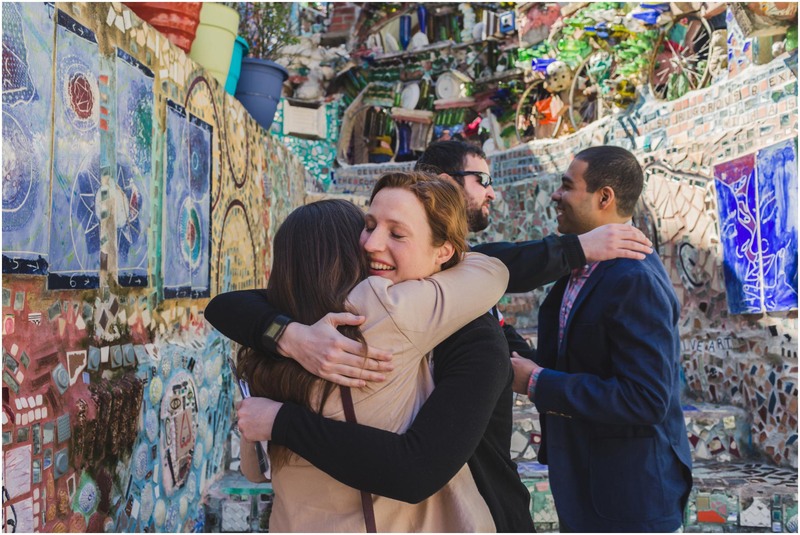 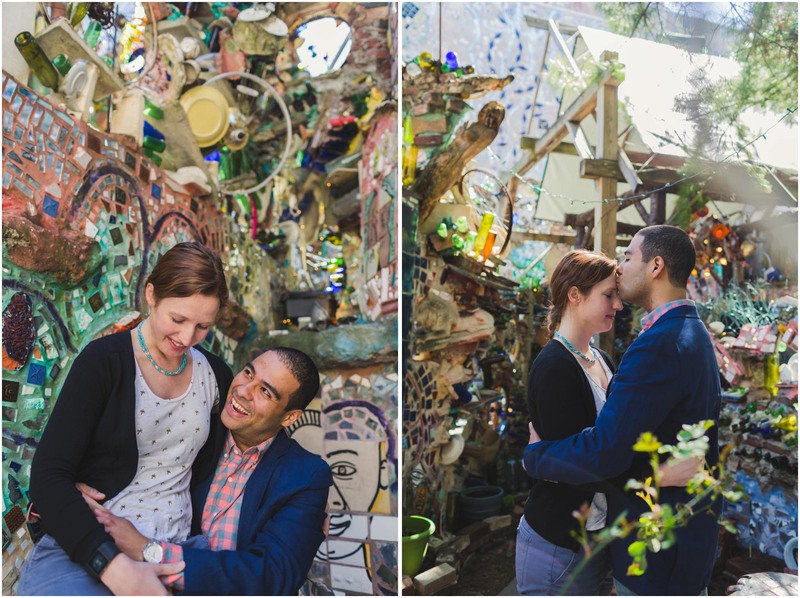 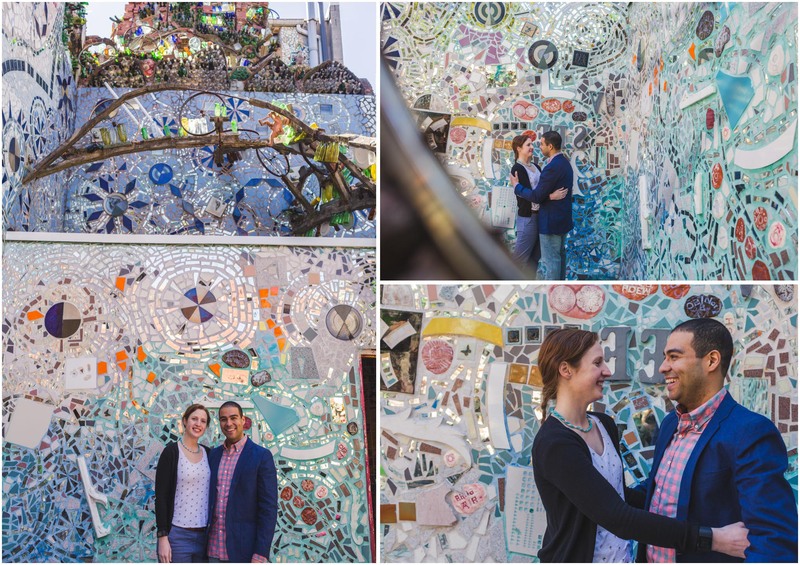 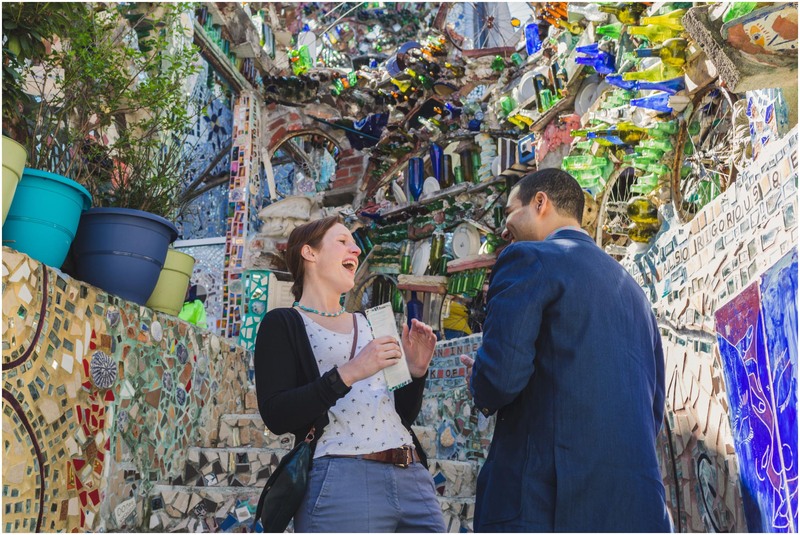 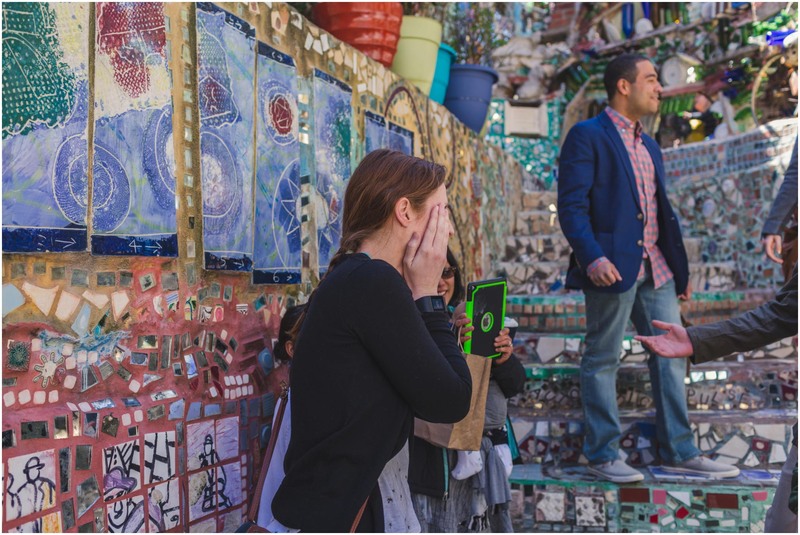 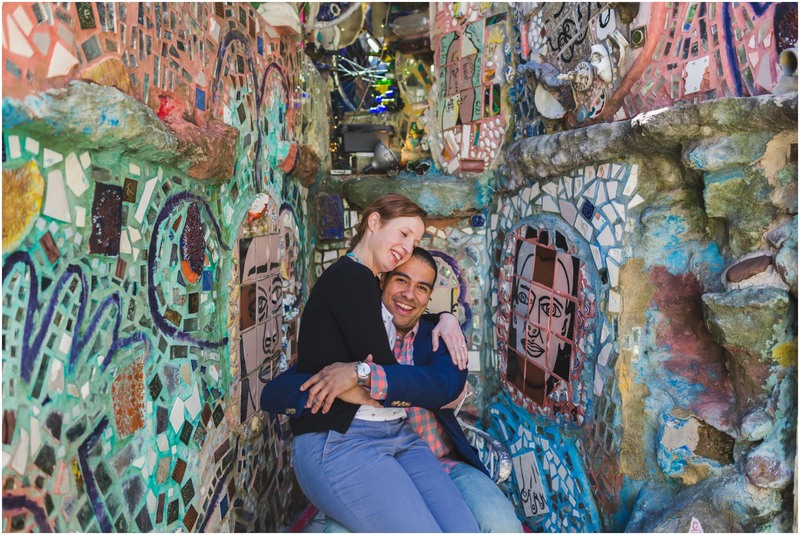 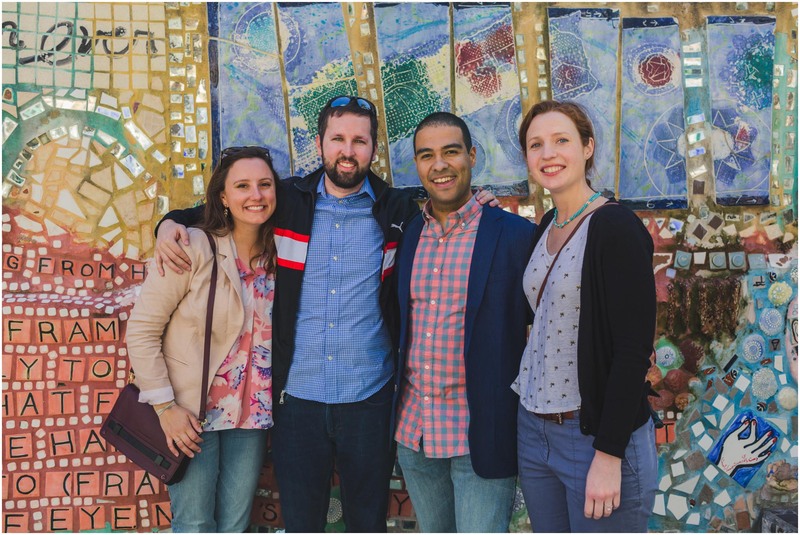 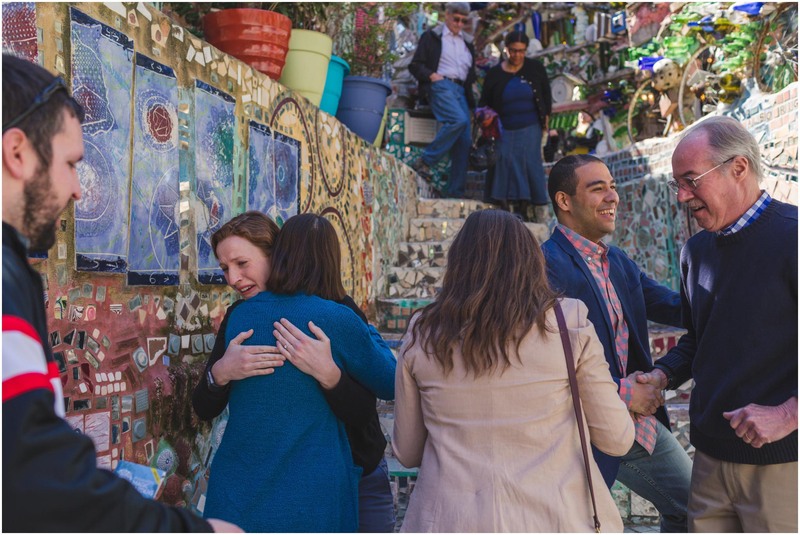 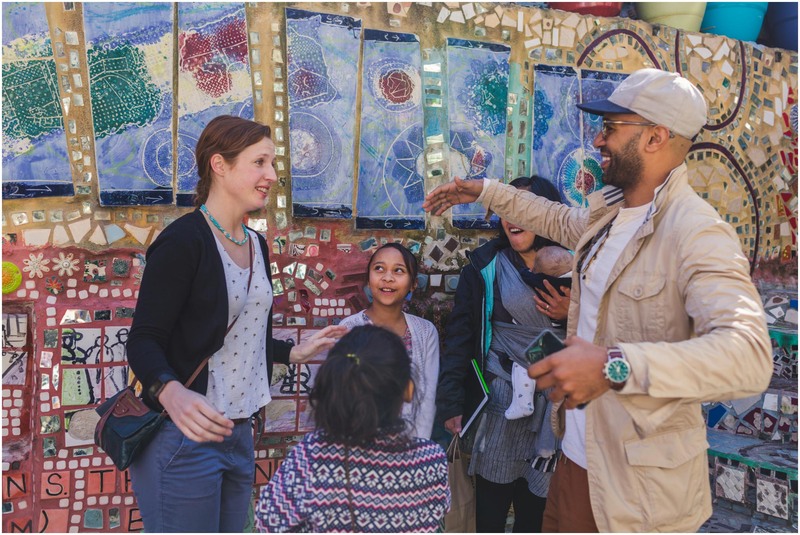 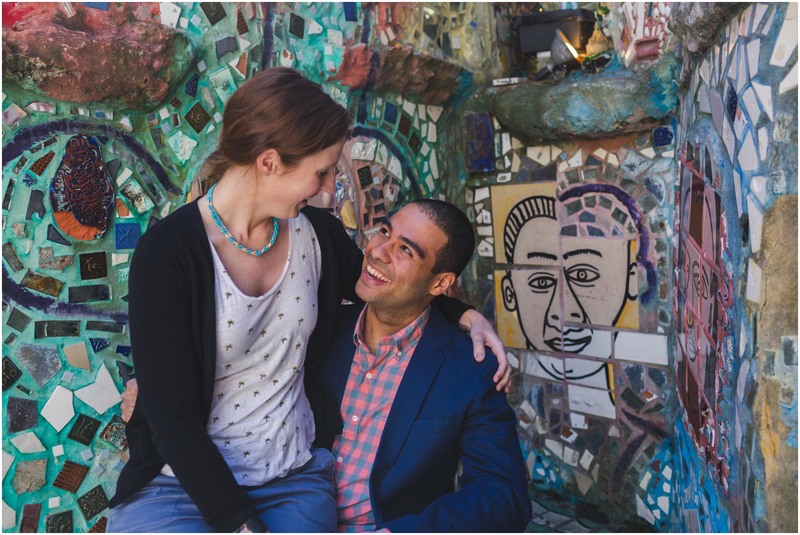 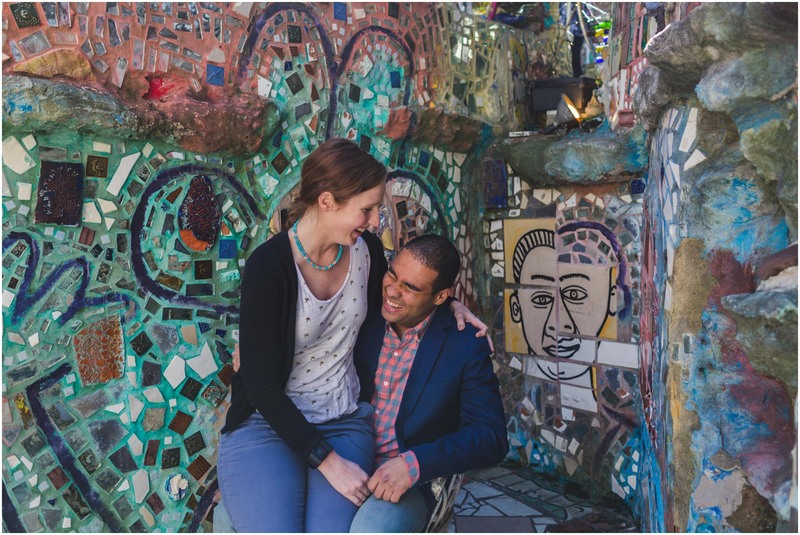 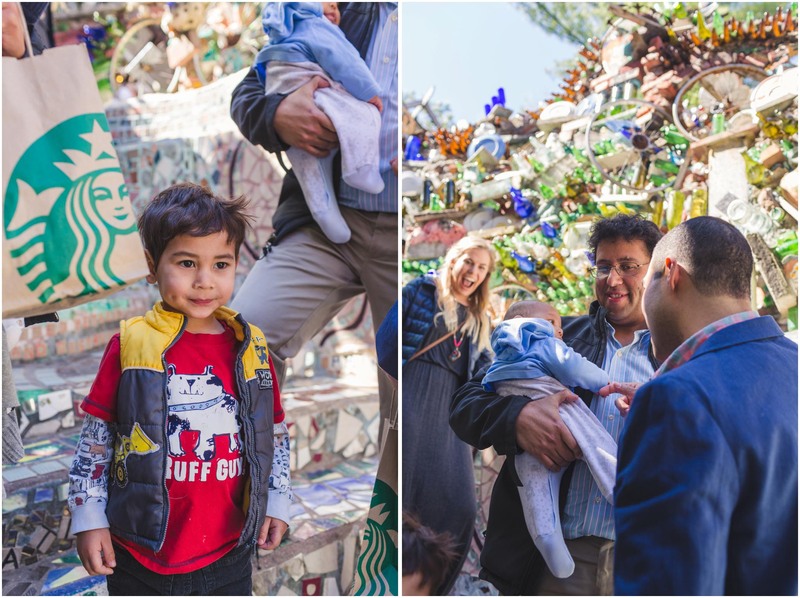 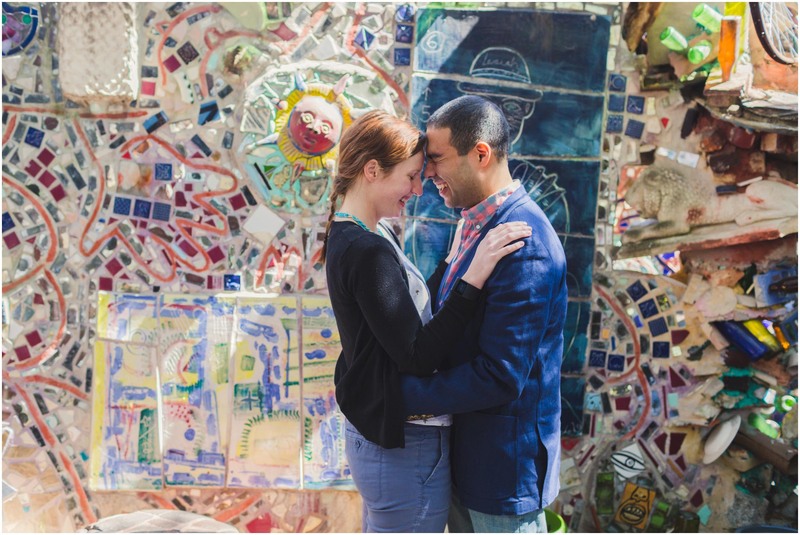 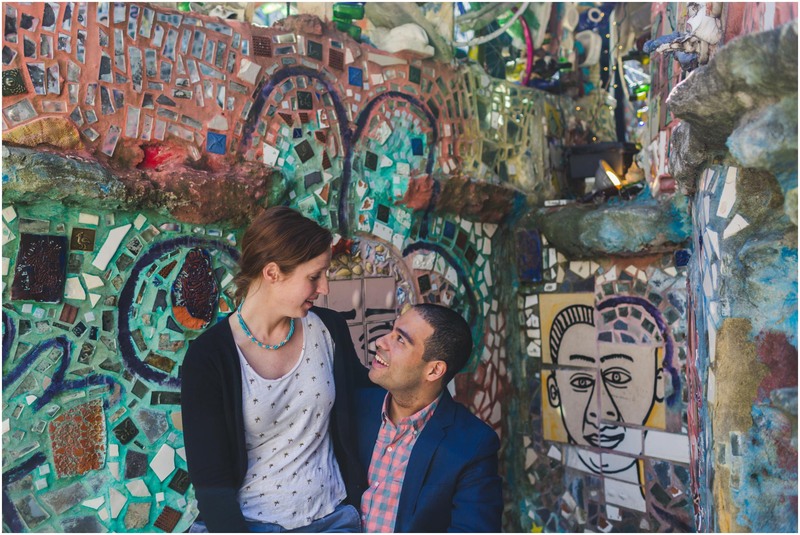 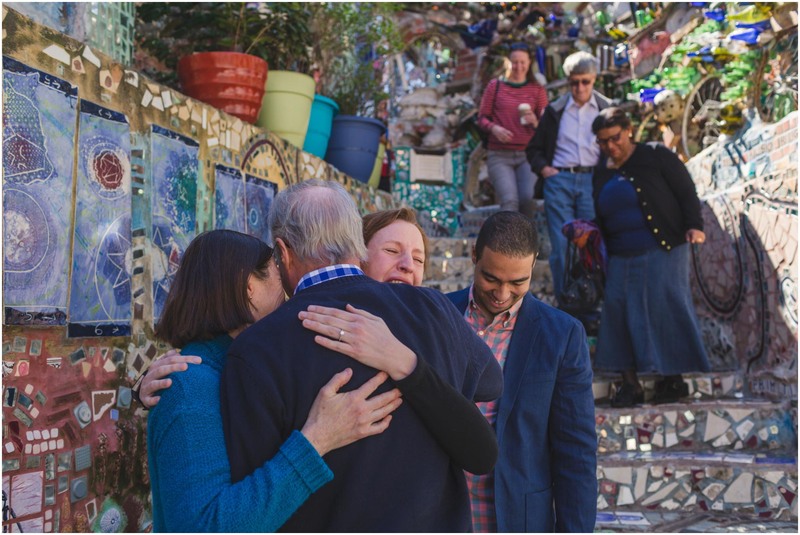 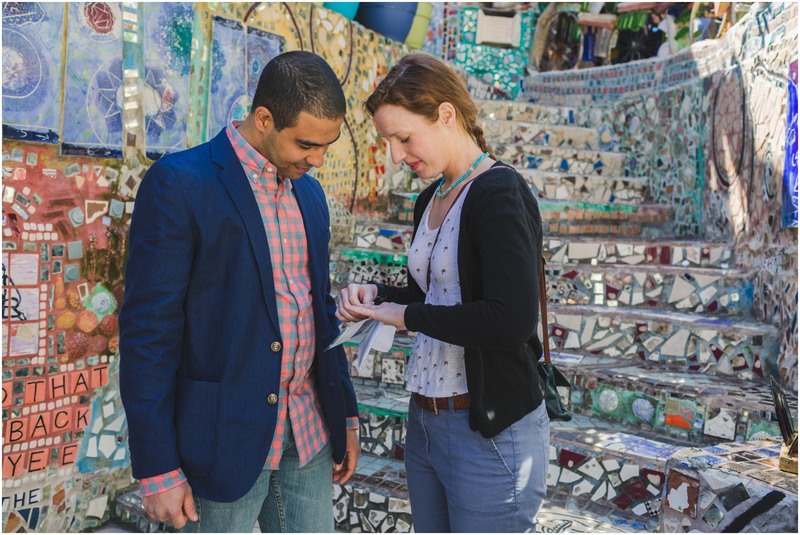 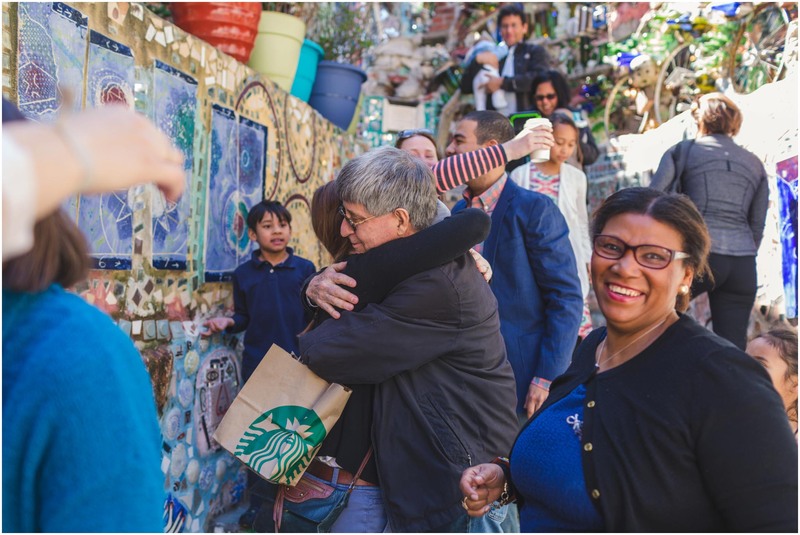 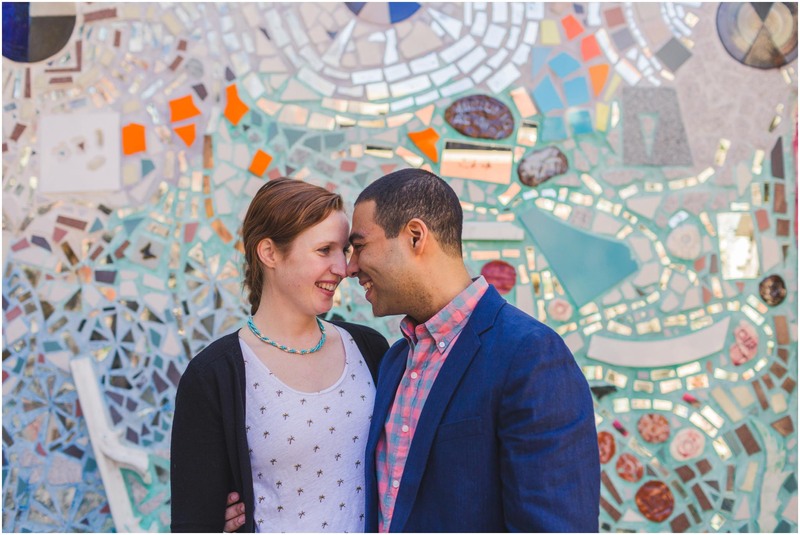 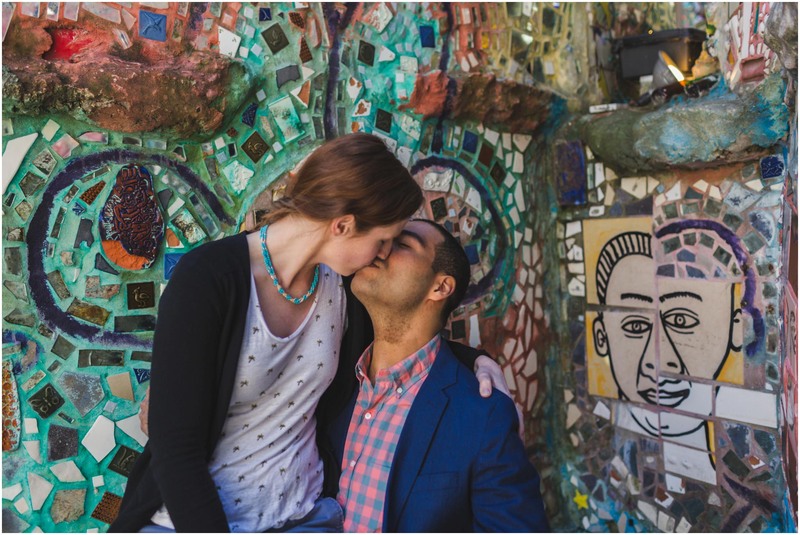 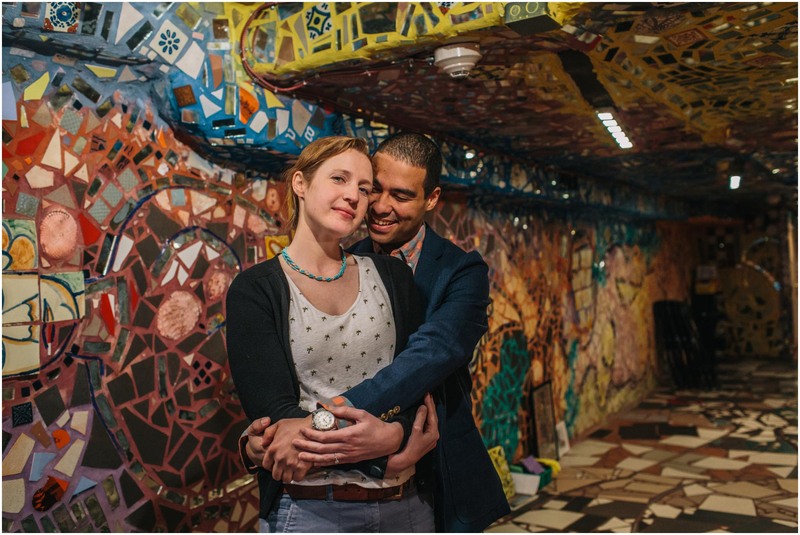 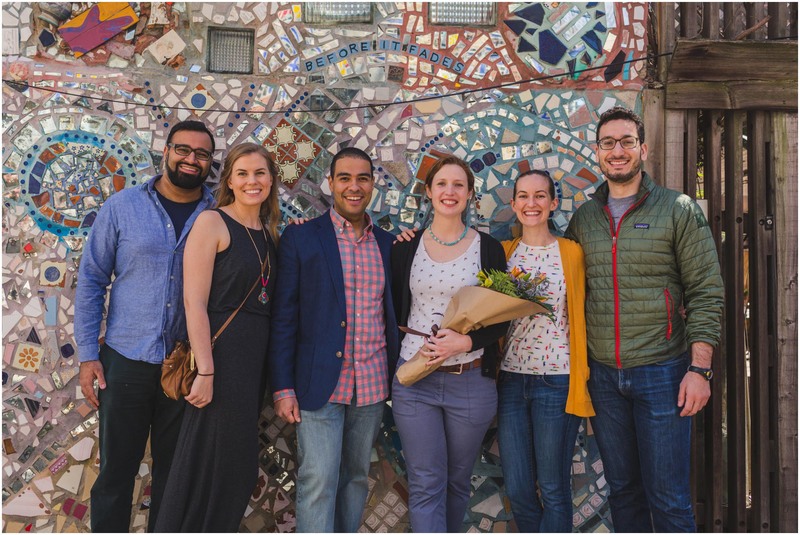 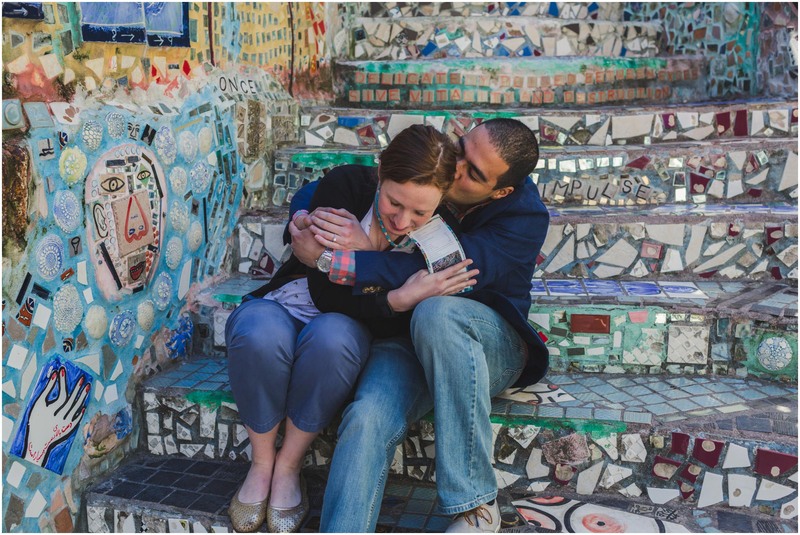 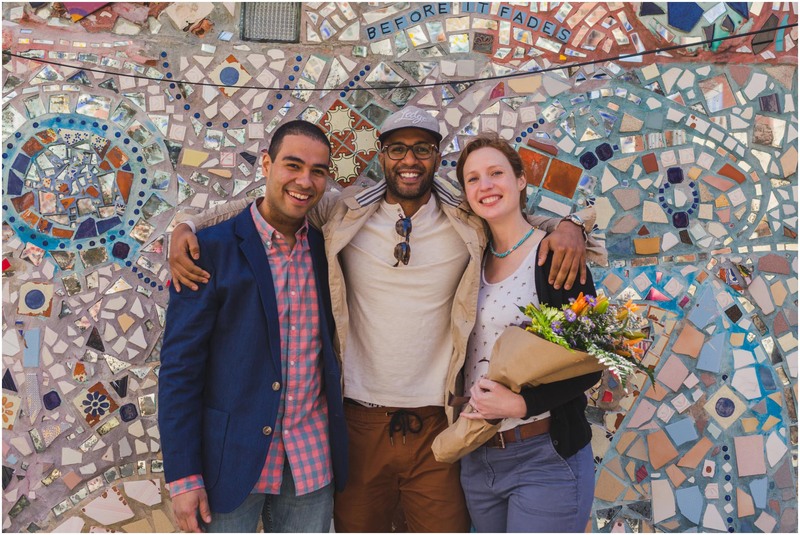 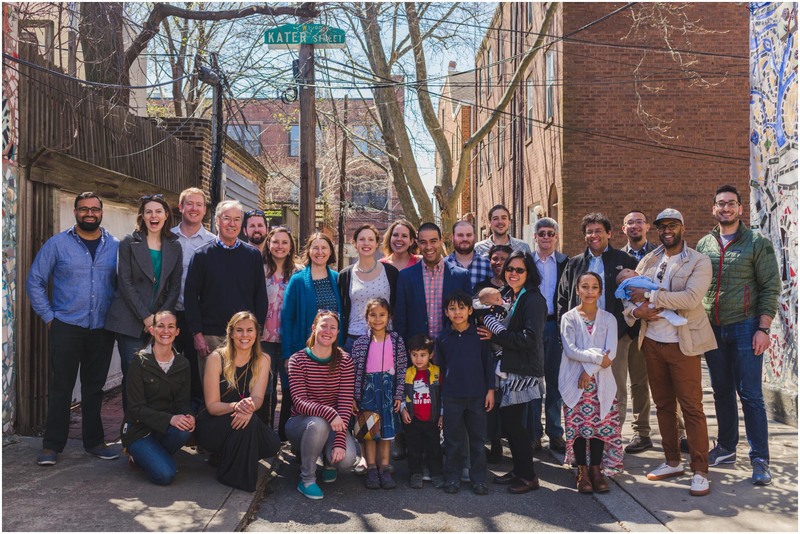 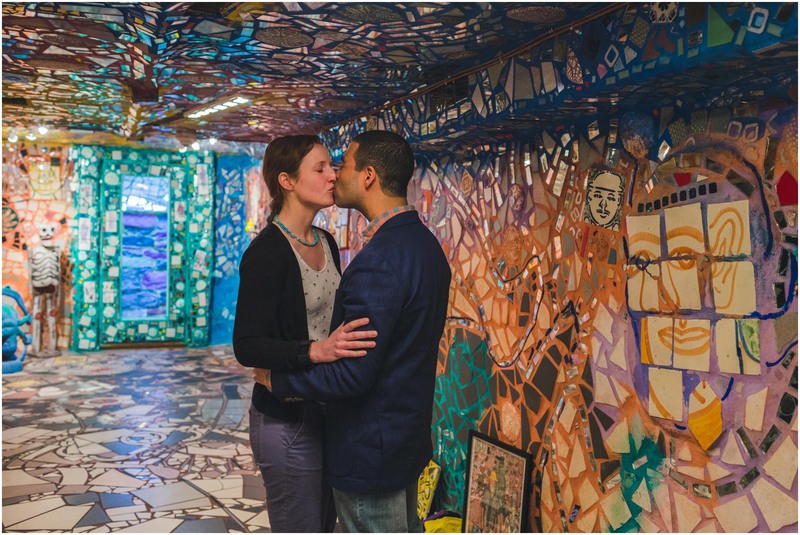 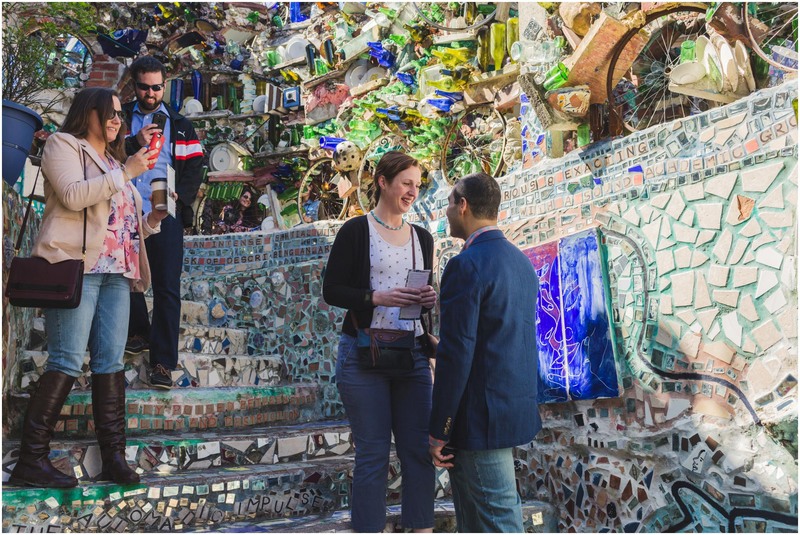 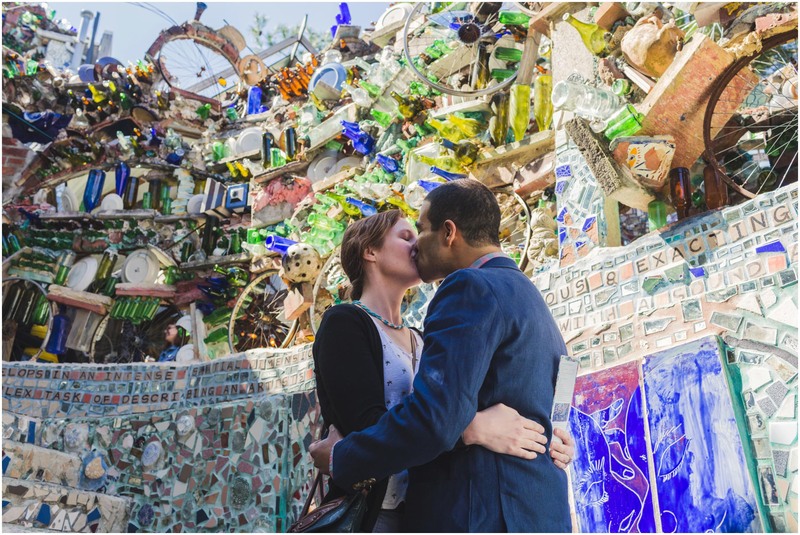 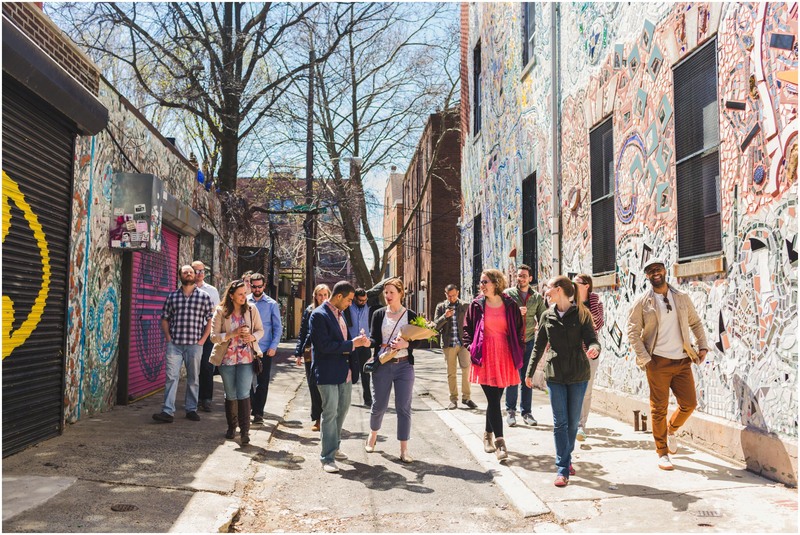 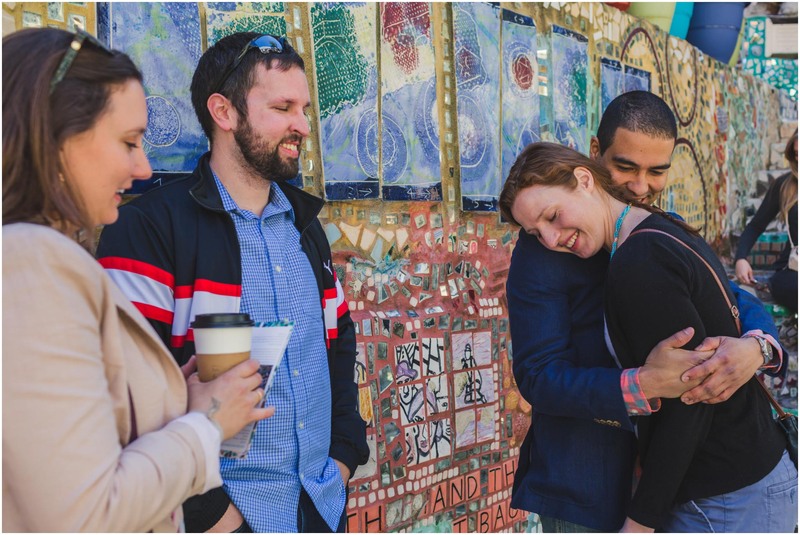 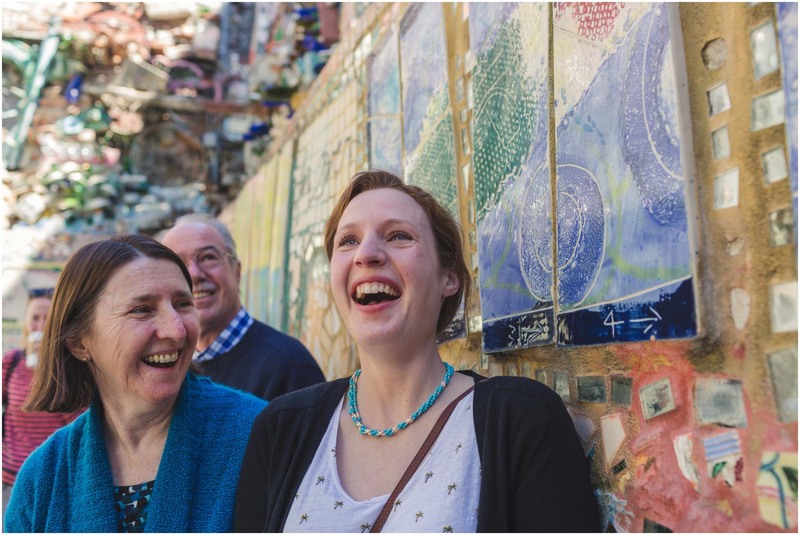 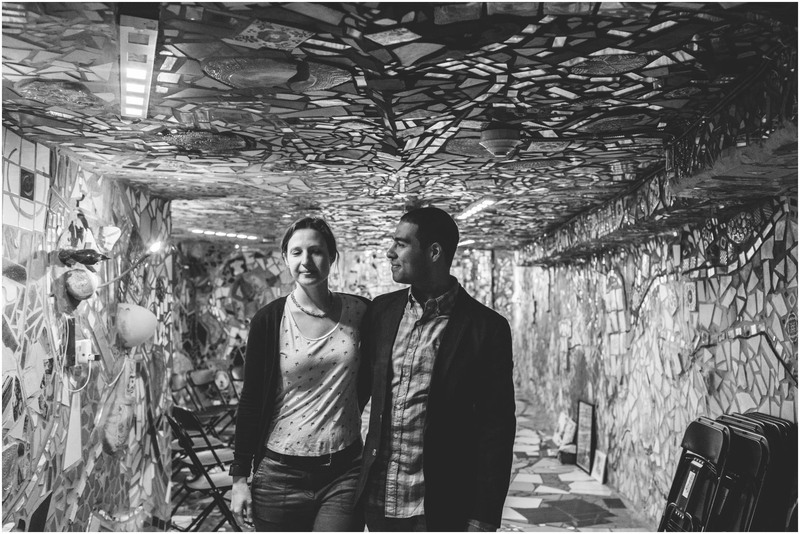 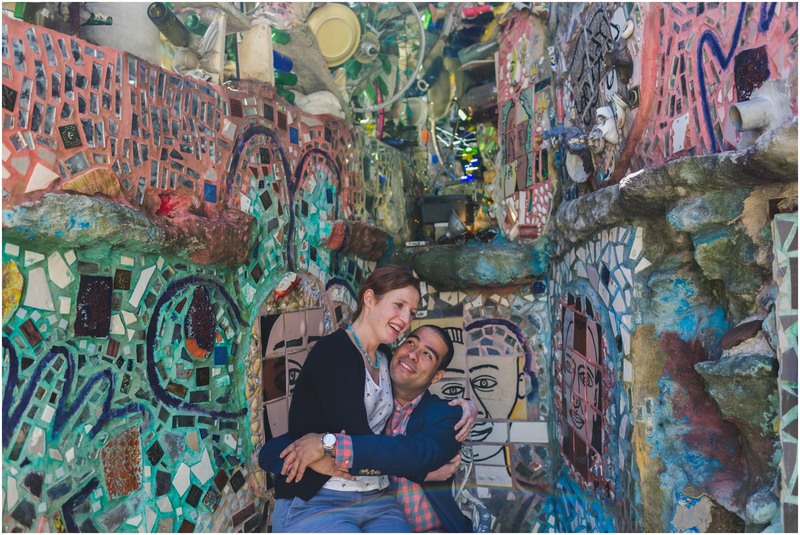 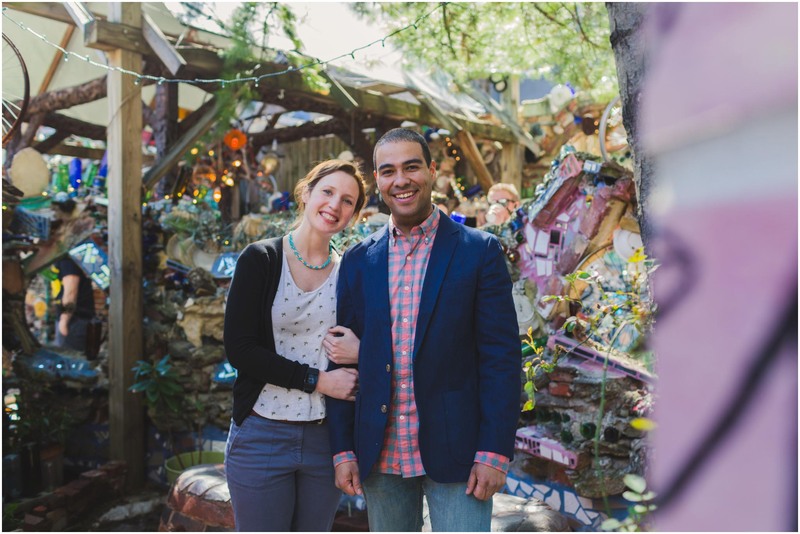 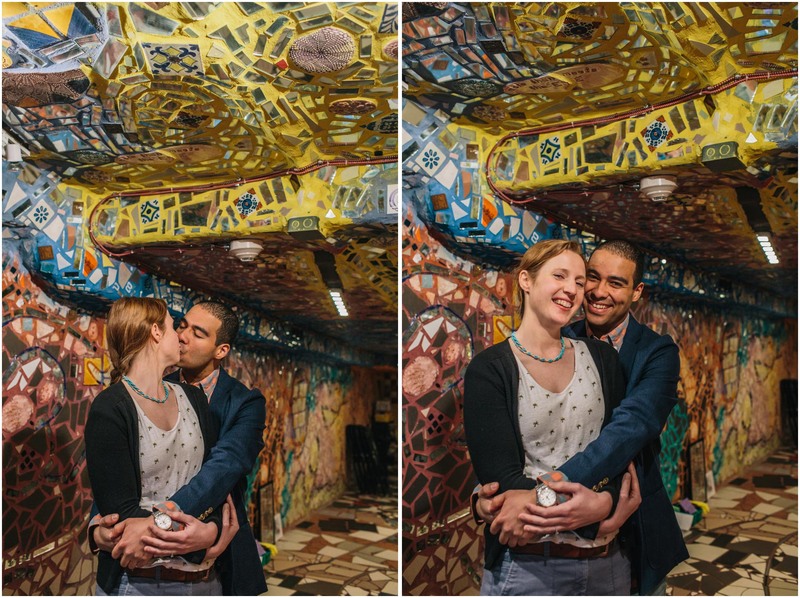 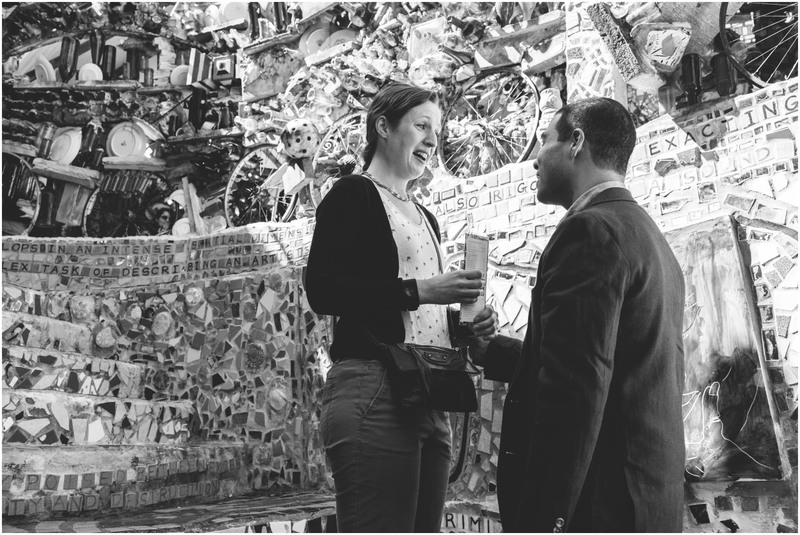 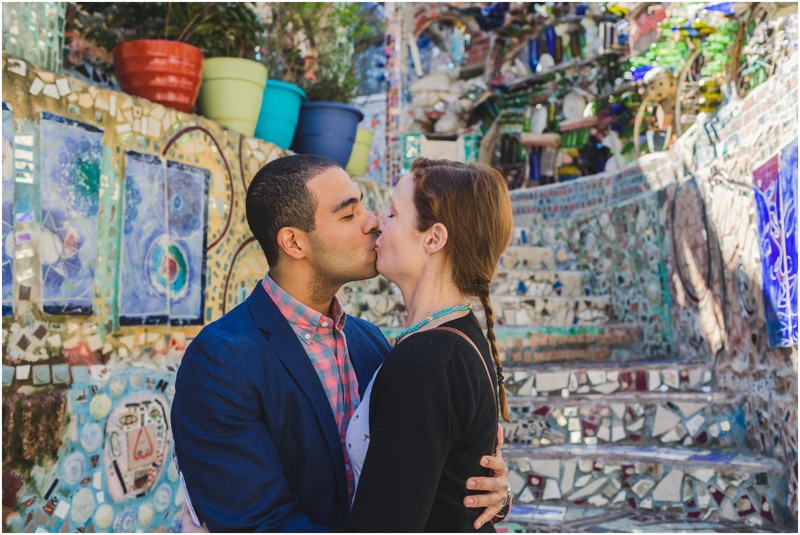 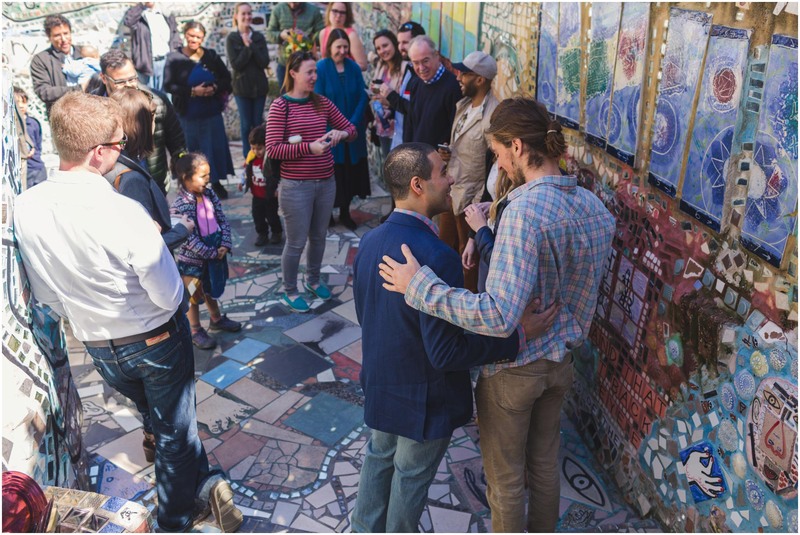 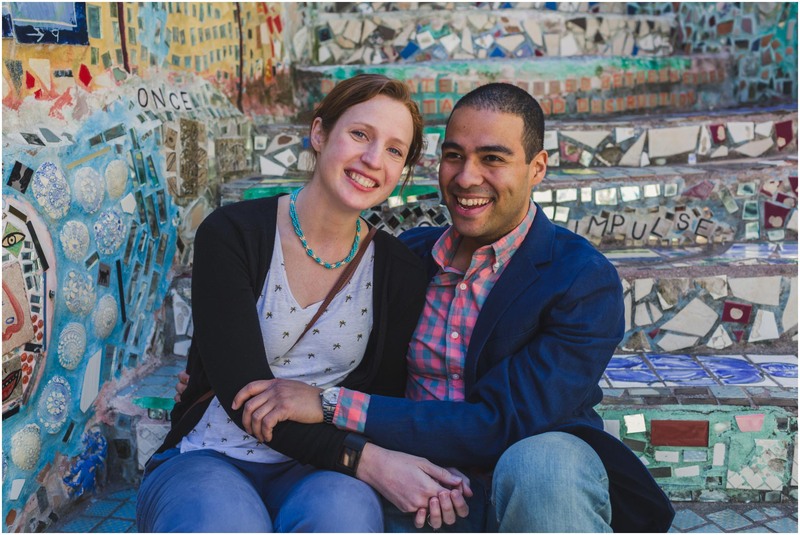 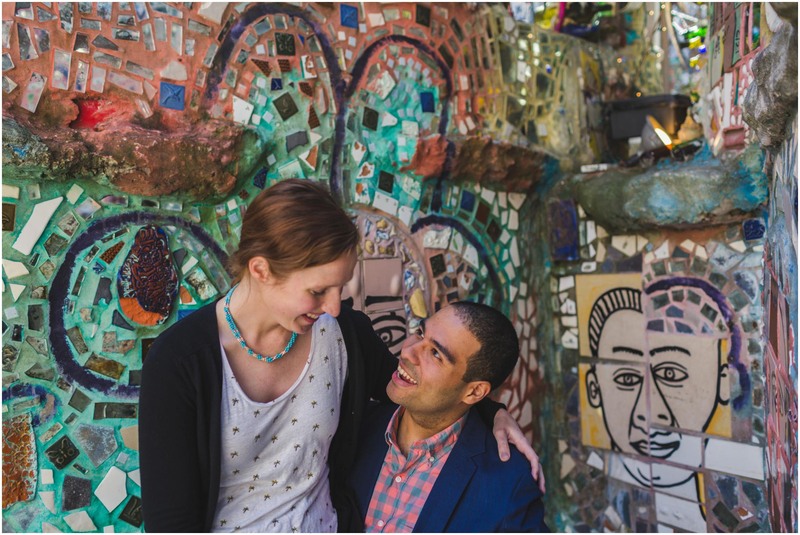 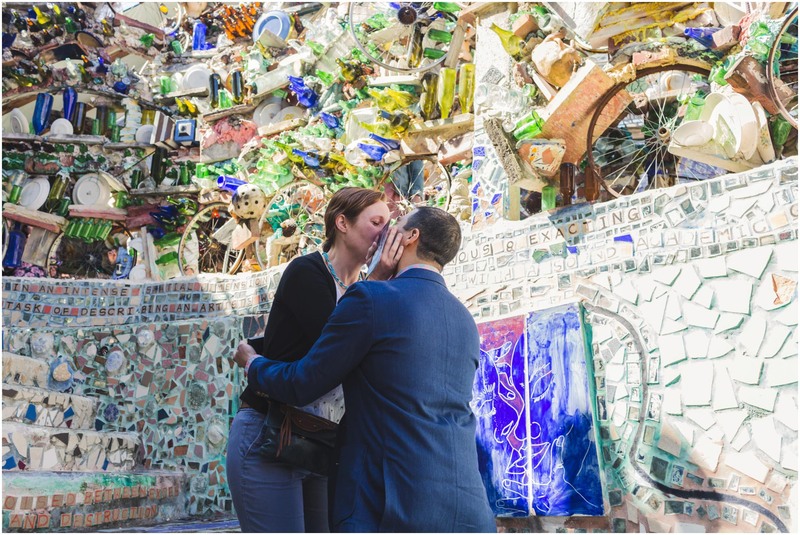 As always, Philadelphia’s Magic Gardens was the perfect setting for couple portraits. 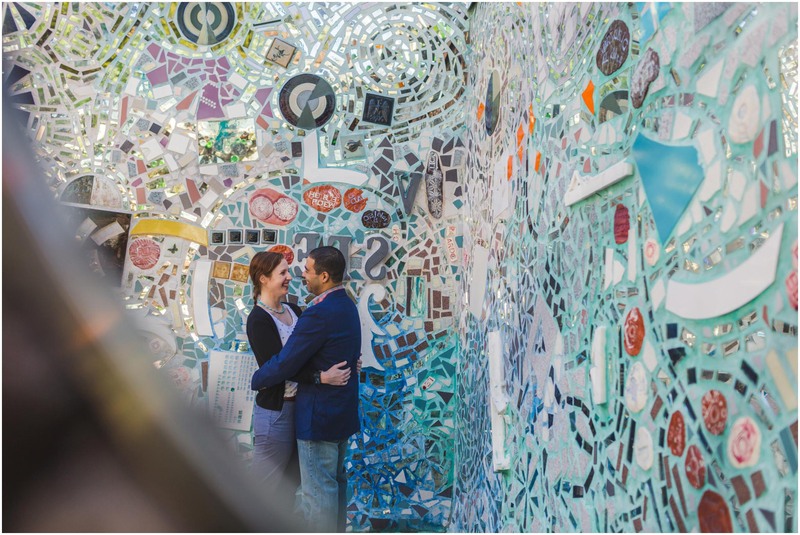 I can’t recommend the venue enough for weddings or engagement sessions. 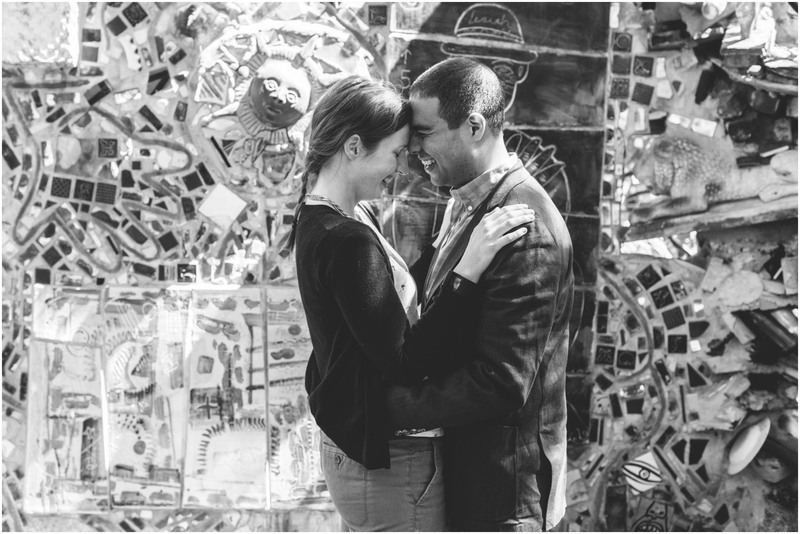 I hope this isn’t the last time I’ll see MJ and Dan. 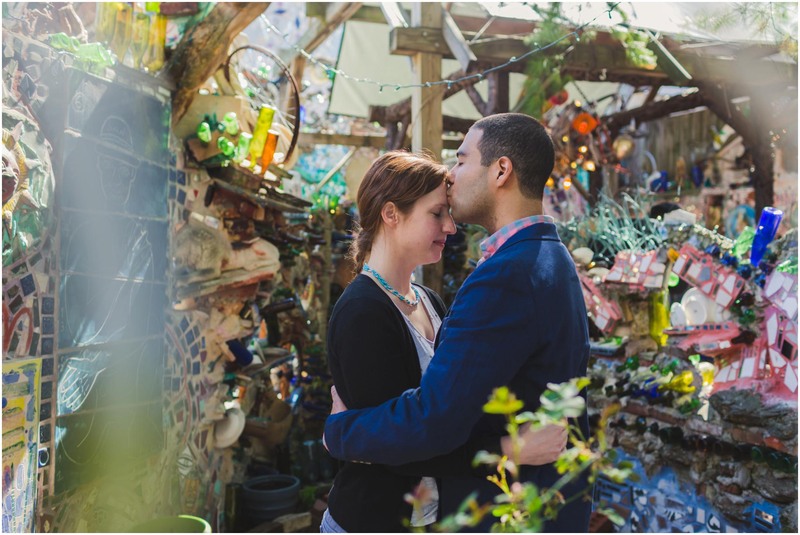 They are some of the sweetest people I’ve ever met and I couldn’t be happier for them. 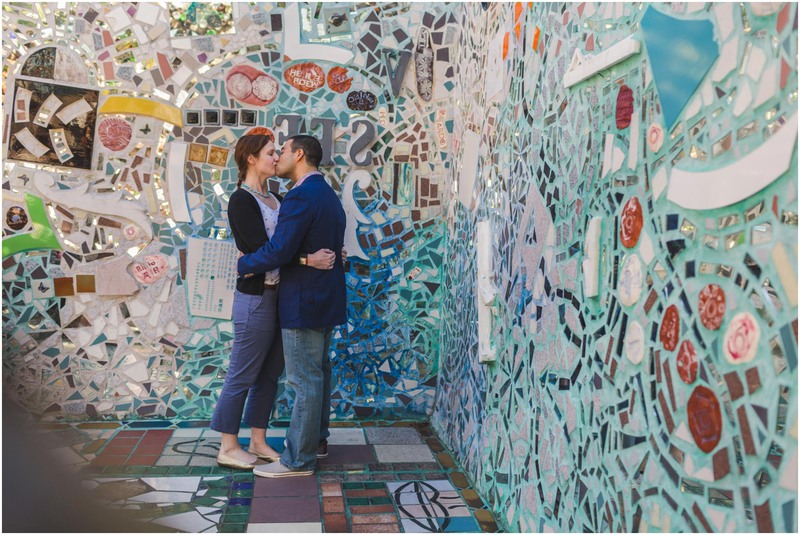 © 2019 Shannon Collins Photography.